If you think taking selfies are hard, it'll be a lot more difficult if you are taking a photo of a group right? Imagine your Mom, Dad, Grandma, Grandpa, your Aunts, your Uncles, your siblings, your cousins in one frame. That is a problem people have to face everytime there is a family gathering and you have to do it in one place. In the past, it'll probably be sacrificing one or more of these people and have them be cut out of he picture just to save this memory of your loved ones, this is where Vivo listens. 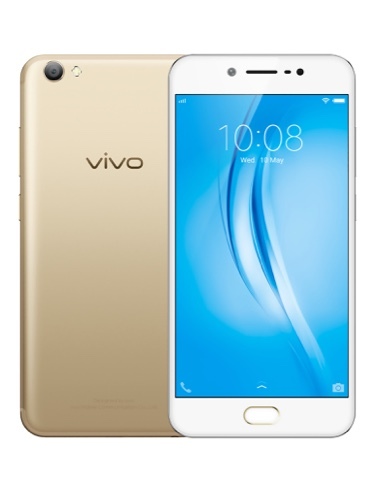 The latest on the V5 line called Vivo V5s boasts of a 20 Megapixel Front Camera with an F 2.0 aperture capable of catching a great amount of light so your images stay crystal clear even in difficult lighting conditions. Your selfies won't need to be attached to sticks anymore as the OS has built in camera software that can take panoramic selfies so you just take a photo in the front and swivel the phone from side to side so you cab have your friends and family fit inside the frame. That only means you don'y have to call the waiter or bother someone else when you're taking group selfie shots in a party, in a gathering or just about any event you could imagine. Not to discount the other splendid things like 13 Megapixel Rear camera that's got an F 2.2 aperture too which you can use for Ultra HD shots up to 52 Megapixels. The OS of the phone also has got an App Cloning feature so you don't have to log in and out on different Facebook accounts, IG or Twitter if you need to use it from one brand to the other (perfect for social media managers no?). Aside from that, it does take those other phone branda a run for their money because this phone only costs Php 14,990. Way better specs, camera and features, why shouldn't you switch phones if you are gonna get more for the same price right?